News from LMCU: Higher mortgage rates on the horizon? 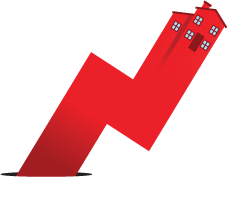 Higher mortgage rates on the horizon? Mortgage rates have been low – at or near historic levels – for nearly seven years. It’s become easy to take them for granted. But as the US economy continues its slow, steady rebound from the dark days of 2008, it exerts upward pressure on mortgage rates. The Federal Reserve generally meets eight times per year to review economic indicators and set fiscal policy. Though nothing is carved in stone–until it is–many analysts believe rates will soon be on the rise again. The Fed is already starting to tighten certain financial conditions, even as officials consider the appropriate time to raise rates, given the nearly seven year stretch of near-short-term rates. If you haven’t refinanced to a lower rate, or are looking to buy or build in the short term, consider locking into a low interest rate now. Contact Lake Michigan Credit Union’s mortgage department at (844) 890-9767 or visit lmcu.org or any branch to get started.